Four Galwegians, including international debutantes Mairead Coyne and Mary Healy, feature in this weekend’s Six Nations teaser against England in London’s Twickenham Stoop. Coyne and Healy join clubmates Senetima Naoupu and Ruth O Reilly in green for the Autumn fixture; both were 2015 Six Nations medalwinners. Coyne and Healy, while rookies at this level are no strangers to top-flight sport. Coyne as part of the Galway Senior Women’s Footballing furniture at fullback and corner back whereas Healy ranks among the country’s most formidable hockey strike weapons. 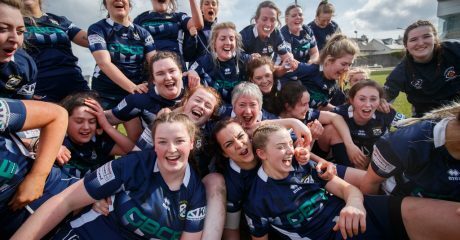 Given each landed at Glenina on the Dublin road with little to no clue how to play rugby less than three seasons ago, their rise to the top tier has been nothing short of meteoric. 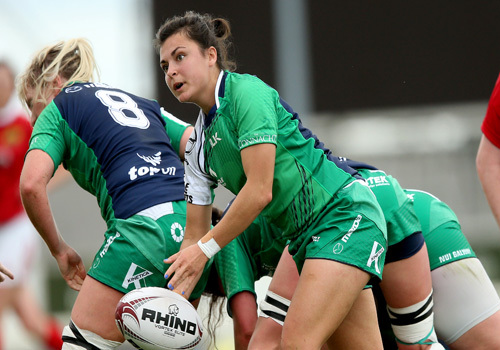 Coyne, 2015 interprovincial fullback and centre, starts on the wing in former Connacht scrumhalf Tom Tierney’s Irish XV this weekend, and Healy – a scrumhalf – will find herself in familiar surroundings once off the bench directing traffic from the back of the breakdown. O Reilly starts in the front row and Naoupu, arguably Ireland’s hardest-hitting impact sub from the Six Nations last year, starts at pivot in the 10 jersey. Coyne is one among six starting debutantes on Saturday, Healy one of four newbies on the bench. 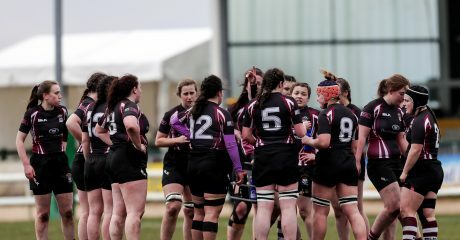 This province, rarely featuring more than one or two at a time over the past decade (Nuala Ni Chadhain, Dr Claire Molloy, Carol Staunton, Ali Miller, Naoupu and O Reilly) would have boasted five for this fixture, Jes’ College past-pupil Molloy the other, but the former Colaiste Iognaid pupil (2007) is nursing a recently-broken hand. Staring down the barrel of a six-week layoff, Dr Molloy recalled her first foray into international football on Tuesday this week. “Yes, there was apprehension in the lead-up but the anthem starts and you get caught in the moment altogether. My only memories of that first fixture was chomping at the bit to get out there off the bench. While the 2016 Six Nations remains three months off, this represents the current national squad’s first major chance to press a claim for February selection against test-quality opposition. Tierney saw all four Galwegians perform three times over the summer for Connacht, two warm up matches and the campaign opener v Munster in the Sportsground. 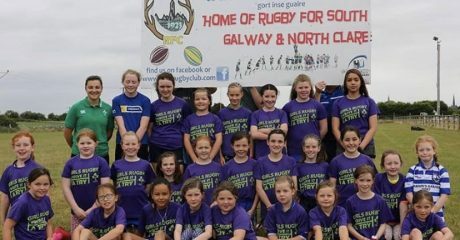 Saturday’s fixture, a rare Autumn date for Irish rugby women, pits several hardened campaigners in direct competition with the promising new Irish talent on offer. 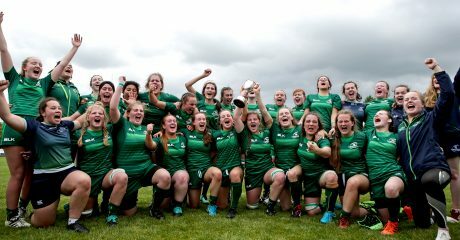 Tierney applauded the addition to the calendar and said it was equal parts “functional” in terms of seeing fresh faces compete at the highest level and “heartening” given it attested to (and bolstered) Irish women’s rugby credibility. Twelve clubs contribute players to Saturday’s hit-out, 20 of the 23 play their rugby in the domestic All-Ireland competition. www.englandrugby.com will stream the match online, kickoff is 3.00pm, Sat Nov 14. *Denotes uncapped player at this level.